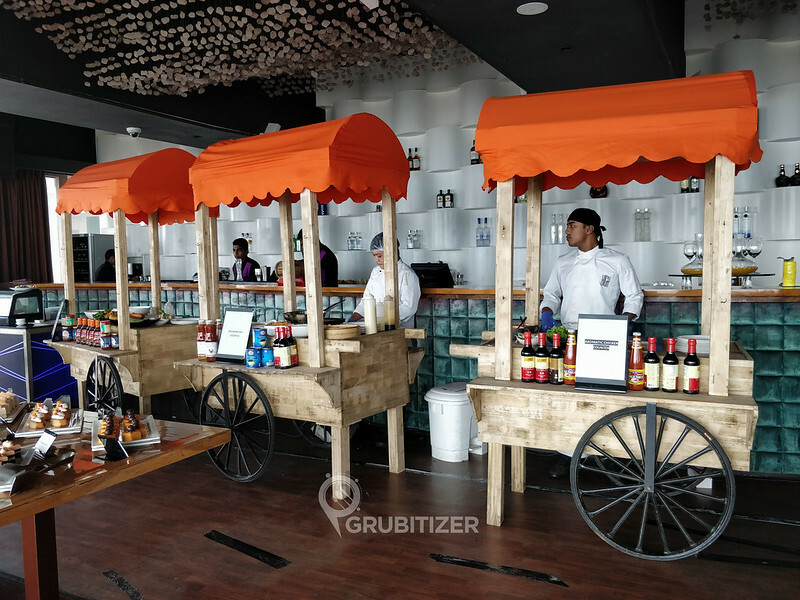 High Ultra Lounge brings you the city’s most exciting brunch, the Hawker’s Brunch. 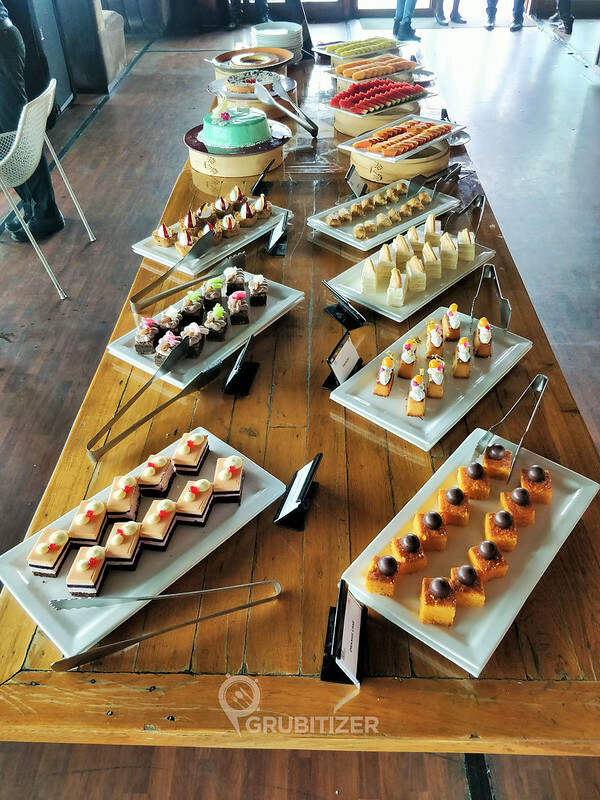 The brunch setup is a combination of live stations that will serve Grills, Maki Sushi, exotic Pan-Asian dishes, Desserts and an elaborate set of options for Main Course buffet. The bartenders do an equally good job at keeping you hydrated with amazing cocktail creations based on your choice of liquor. 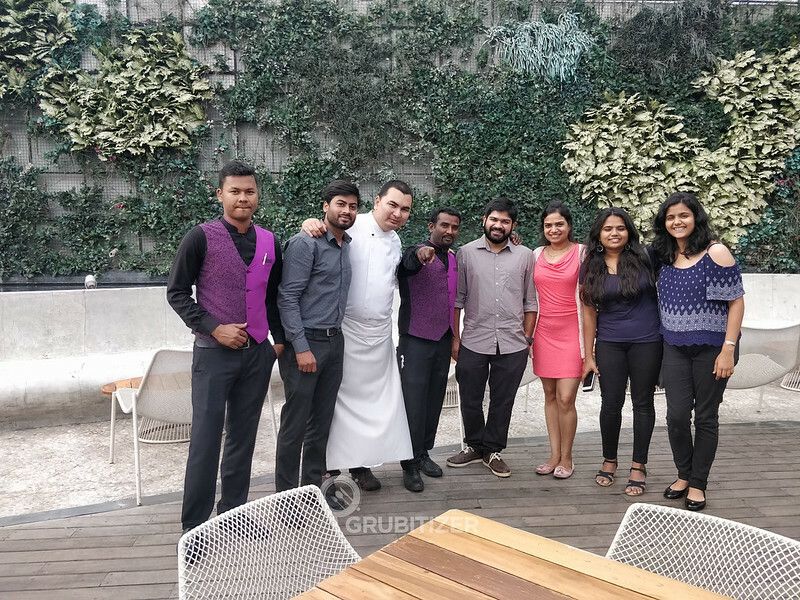 Sunday Brunch has been an evolving trend where every brand is trying to establish its own USP and the ever hungry crowd of Namma Bengaluru welcomes each unique concept with open arms, so what’s so special about High Ultra Lounge? Well, read on to know more about it! 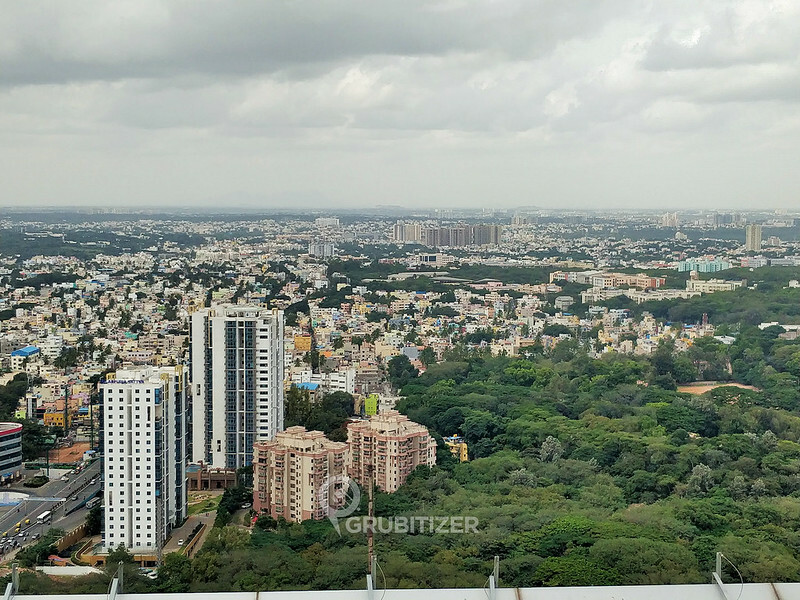 To begin with, High Ultra Lounge stands at 421 feet high and this makes it South India’s Highest Dining Destination, the view from the top is so exquisite that it begs you to get a seat near the huge glass windows that overlook the entire Ooru. One of the many things that make this place stand out from every other dining place in South India is getting an option to take the tour of helipad, this is an amazing experience in itself as High Ultra Lounge is the highest dining destination in South India and the view from the helipad is offers you a wonderful experience! This, however, comes at a cost but trust me, it is way more worth the money as the experience is next to nothing. Coming to food options, you also get to indulge in an array of delicacies like the lip-smacking Tofu Black Bean, Vietnamese Spring rolls, Cilantro Chicken, Lamb Phrik Thai to grill specialties such as Asparagus with Wasabi Potatoes, Tenderloin with Spicy Sesame, Norwegian Salmon Teriyaki to main course that consists of Mix vegetable with Black Bean Sauce, Massaman Lamb Curry and desserts like Banoffee pie, Chocolate mud cake that are crafted specially by the talented team of chefs under the watchful guidance of Executive Chef Yam Thapa. The bartenders are prepared to make it a savouring experience with a luscious liquid menu comprising of some exclusive cocktails concoctions & shooters like Margarita, Bloody Mary, and Martini along with some interesting mocktails to complete your meal. We began our meal with a delicious serving of cheese corn roll which was nicely done, the flavours from this dish are great and even though it might sound simple, you will be tempted to have another round of it on your table! Some of the vegetarian appetizers we had were – Crispy baby corn with spicy and sour sauce, Lotus Stem in Honey Chili Sauce and Sweet Corn with Coriander Butter Sauce (a must have!!). The menu here changes for every iteration of the brunch, so whatever you see here in my post might not be available on the day you visit, but I am sure the Chefs here will cater to your request if asked for. The non-vegetarian section is mind-blowing, first up was the Stir Fried Calamari served in a seaweed basket, yea you heard it right! 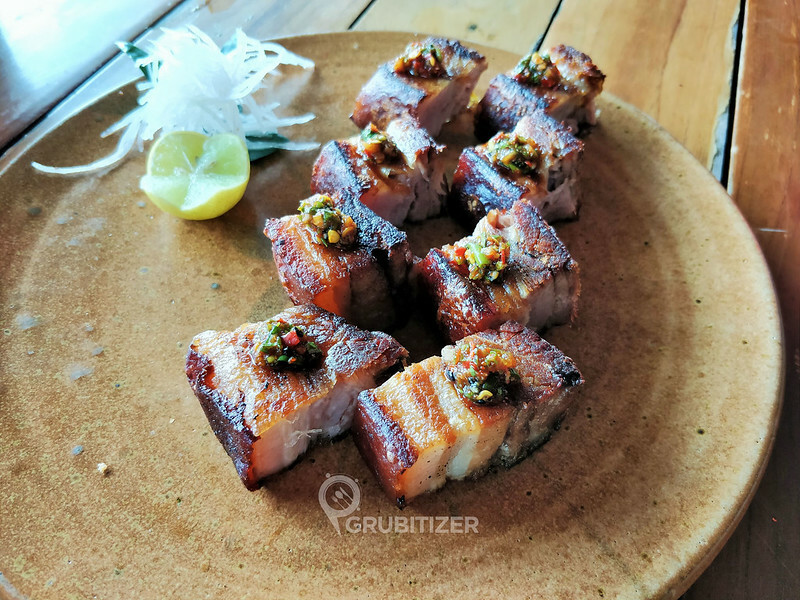 Followed by this, we had the nicely platted Ebi Fry with spicy and sour mayo, Ebi topped with Yuzu sauce (lemon pepper) and the signature dish called the Pork Belly with Kimchi Sauce. The Japanese affair here is top notch and this is reflected in the kind of Sushi options that are available here from the live counter. I loved the Veg Sushi for a change, the one that you need to ask for is called the Yasai Oboro. 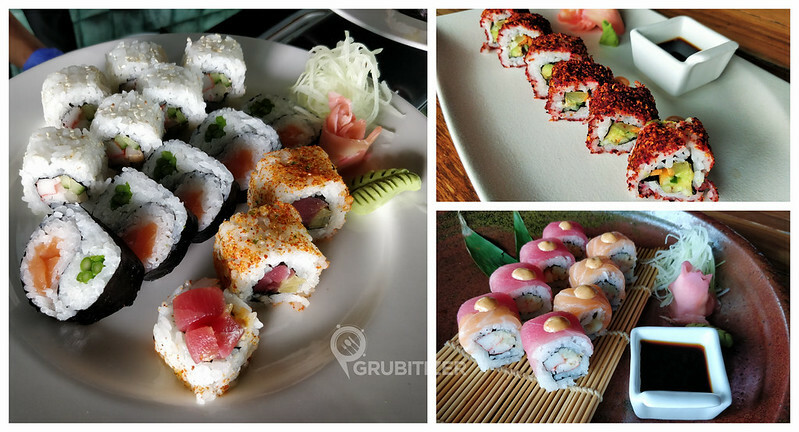 Rainbow Maki is a mix of Salmon and Tuna sushi. 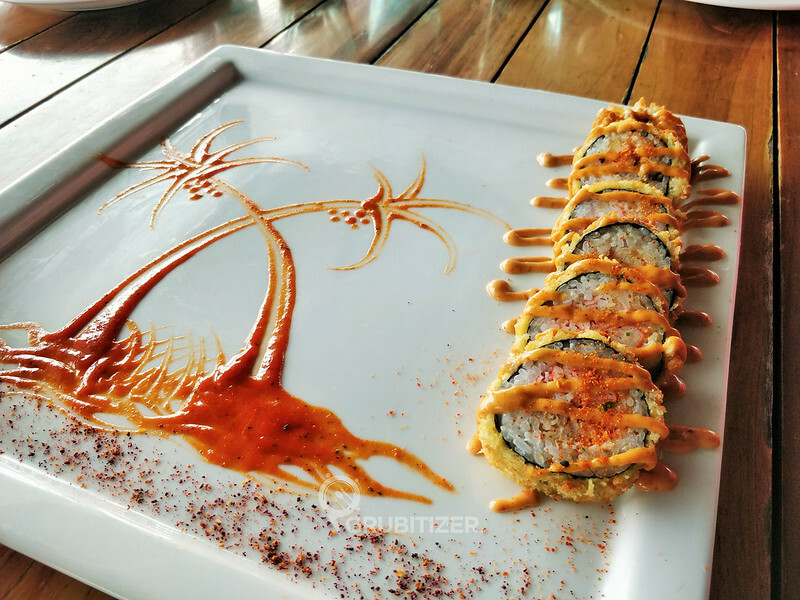 Chef Yam Thapa then bought the most beautiful looking sushi platter that I had seen in the recent past, the Spider Maki which is Soft-shell crab based sushi that is deep fried to suit the Indian pallet. 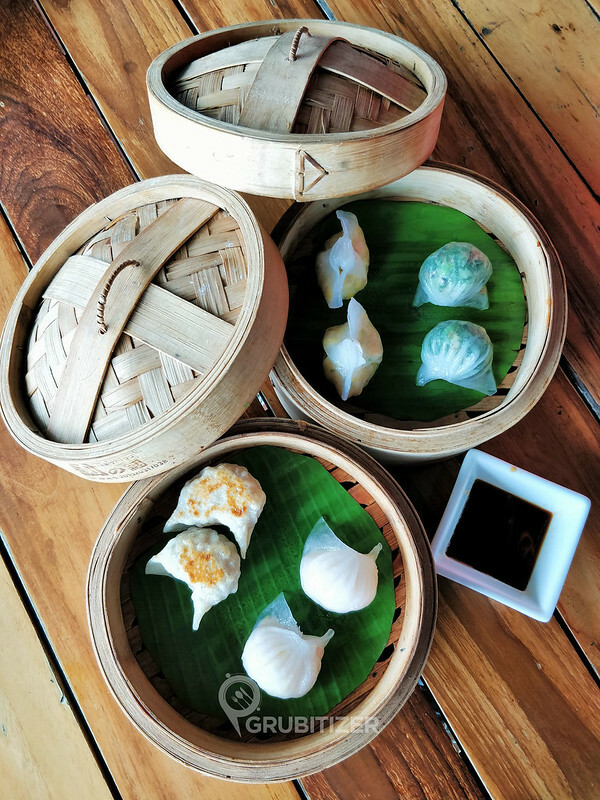 Talking about Pan-Asian cuisine, we definitely can’t let the Dimsums go away! Chef bought us the tasting portions of every dimsum that was available on that day, I loved the Hargau, and it is stuffed with Prawn and Bamboo shoot. Pan Fried Chicken Gyoza, Bokchoy Mushroom and Corn Nuts dumplings were savoured by all of us, brilliant stuff indeed! Cocktail options are too good and same goes with the way each one is presented, Amit Chanda and Raghavendra Gowda did a great job at curating some of the finest cocktails that kept us good company throughout the brunch. Out of the many cocktails we had, the one which had Orange and Passion Fruit in a vodka base was easily one of the pick of the day. This was followed by another drink that had Gin mixed with elderflower, sweet n sour syrup, mint and soda, it was refreshing! The highlight of the day was the Whisky honey mint cocktail that came in a bucket of ice and looked was the celebrity drink of the day. Opting for the brunch package that includes alcohol has its own perks, highly recommended. 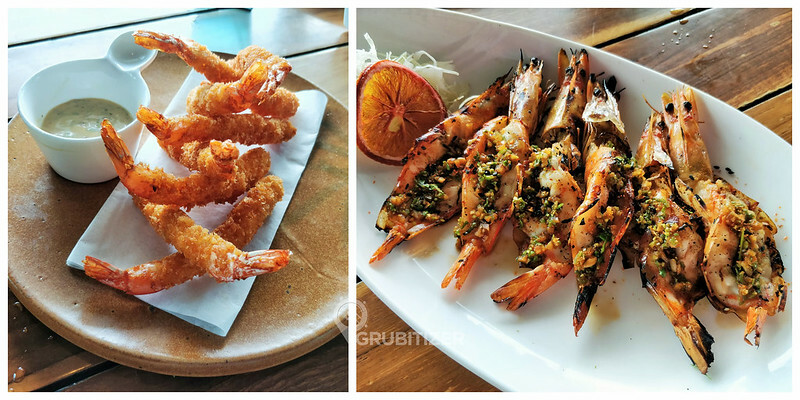 So overall, the Hawker’s Brunch at High Ultra Lounge is sure to keep you throw in a lot of surprises if you are looking to indulge in finely curated Pan-Asian dishes. The feeling of dining at 421 feet above ground level brings in a different kind of excitement altogether.